It is the blue color that calls man to infinity, to depth, to purity and supersensible. For blue is associated with the color of the sky and the color of the water. 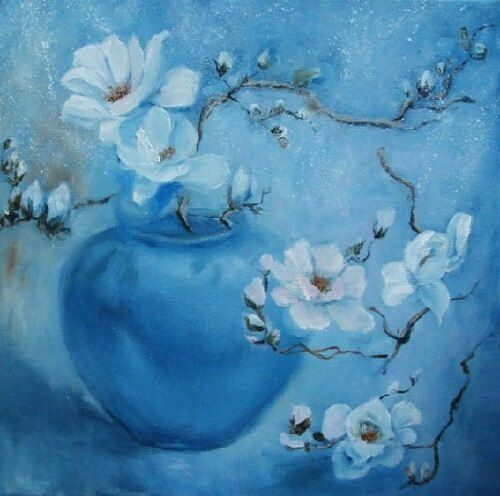 The blue color also gives an unusual feeling of meditation, calmness and serious contemplation. It is not always the color of joy, more often of sadness, for the boundlessness of the sky, its unknowability give a feeling of sadness and anxiety. The symbolism of blue comes from the obvious physical fact – the blue of the cloudless sky. In mythological consciousness, the sky has always been the abode of gods, spirits of ancestors, angels; hence the main symbol of blue is divinity. The conjugated meanings are mystery, mysticism, holiness, nobility and purity (spirituality), constancy (in faith, devotion and love), perfection, high origin (blue blood), justice (God’s work). Nowadays, valenki are again in fashion. 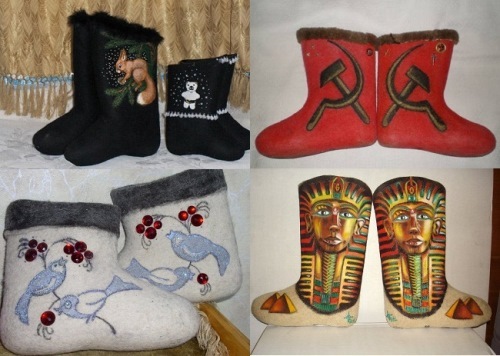 Valenki are traditional Russian footwear made of felt. They are colorful and very warm. People learned to make felt long ago. Carpets, hats, clothes, and many other things were already made of it long before our era. A thousand and a half years ago, people already knew how to make shoes with felt inserts. Then they began to sew the felt and make slippers. And only about two hundred years ago, an unknown master made a felt boot without seams. Technologically, the manufacture of valenki is not complicated. At first the wool is cleaned and rolled for a long time. Then it is washed, beat and dried. To give color, they use alum, bluestone and blue sandalwood, and for lightening they use whitewash mixed with fresh milk or bleach in the sun. If you want to get smooth valenki you should rub them with a pumice stone. And if you need woolly valenki you should use a grater. 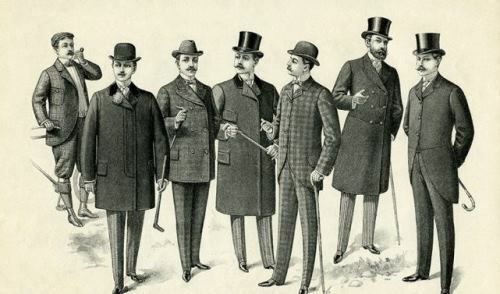 A walking stick is one of the most ancient objects in man’s everyday life. Having appeared as an irreplaceable thing in everyday life – shepherd’s stick, prop, crutch, it very soon turned into a symbol of supreme power and the most important attribute of rituals and divine services. Osiris, Isis, Ra, Seth were portrayed with a stick. Ancient Greek and Roman gods also had ritual sticks. The triumphant stick, decorated with a golden eagle, the indispensable accessory of the commander, subsequently became a sign of the imperial power. By the way, the sticks were found in virtually all rooms of the tomb of Pharaoh Tutankhamun. In medieval miniatures, Byzantine mosaics and frescos one can see simple elongated sticks, sometimes with a curved upper part or with a spherical shape, a knob topped with a shamrock, in the hands of the saints. The hierarchs of the Christian church were depicted with long sticks with a rich gold pommel-cross. The stick of the bishops had an almost annular curved knob in the form of a blossoming branch – in memory of the flourished rod of Aaron. This form of the stick became dominant for the abbots of the Roman Catholic Church. In all cultures, the stick was associated with the image of the traveler. 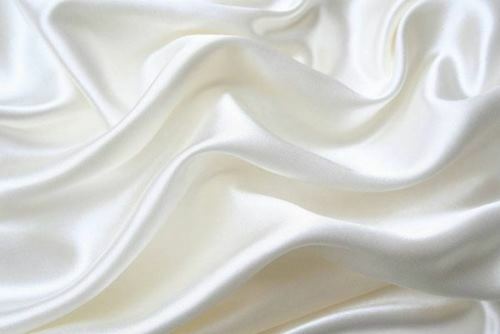 Silk is one of the most valuable and beautiful fabrics. It was highly appreciated a millennium ago, and our contemporaries are fond of it. You know, it is produced from threads extracted from the cocoon of silkworm. The length of one such thread from one cocoon can reach 800-100 meters! Silkworms are actually caterpillars, not worms. They build cocoons to protect themselves while they change into a moth. By the way, some spiders also make silk. They weave silk webs to catch insects. However, the silk made by spiders is too thin for making cloth. To process silk, the cocoons are first put in hot water. This softens the cocoons so the silk can be unwound. Silk was such an important product during ancient times that the major trade route between East Asia, West Asia, and Europe was called the Silk Roads. 1. The production of 500 grams of silk requires about 3 thousand cocoons of silkworm. It takes 12 hours of work to make a skein of silk thread weighing 250 grams. 2. Silk thread has tremendous strength, it withstands strong pressure and is very strong at breaking. Not so long ago it was found out that 16 layers of silk withstand a bullet from the Magnum 357 (with a lead core). 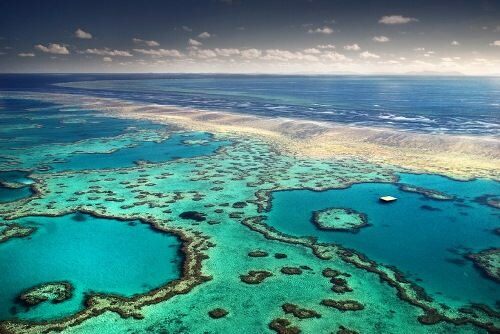 The Great Barrier Reef is one of the great natural wonders of the world, the largest coral reef on Earth. It is a system of many individual reefs and small islands. Altogether there are 2,900 individual reefs. It lies in the Pacific Ocean off the coast of Queensland in northeastern Australia. From north to south its length is more than 2,000 kilometers. The Great Barrier Reef was formed over millions of years from mounds of coral. There are at least 300 types of hard coral. The corals died but their shells remained, and other corals grew on top of it. Over those millions of years, the corals cemented together and were covered with underwater plants, debris from the ocean. Most of the reefs are under water (bare during low tides). The sea life of the reef is extraordinary. And there are more than 1,500 species of saltwater fish. Besides the 400 types of coral, there are anemones, sponges, snails, worms, lobsters, prawns, jellyfish, crayfish, giant clams, and dugongs. Cosmetics are products that people put on their bodies to make themselves feel more beautiful. There are many types of cosmetics, including face makeup, nail polish, lotions, perfumes, and shampoos. Cosmetics were also used in ancient times. Today millions of people throughout the world use cosmetics every day. Ancient Egyptians were the first people known to use cosmetics. Egyptian men and women used perfumed oils to keep their skin from drying out. They also used natural coloring on their eyelids and eyelashes. The Romans later introduced more types of cosmetics. Historians argue that the first lipstick appeared 12 thousand years ago. It could be juice of berries, mush made from plants or bark of trees. 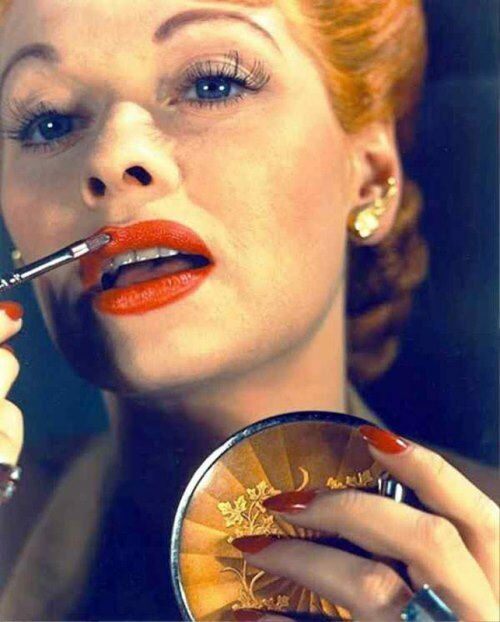 The first documentary evidence of the use of lipstick was found in the chronicles of Ancient Babylon. The Mesopotamian nobles used a creamy substance made from crushed semiprecious stones and minerals. People are constantly interested in everything mysterious. That is why they explore the amazing planet Earth. It seems that mankind knows almost everything about the planet, but there are still many topical issues that need answers. In the distant future, mankind will unravel the riddle of the Universe and the origin of the Earth. Here are interesting facts about our wonderful planet. 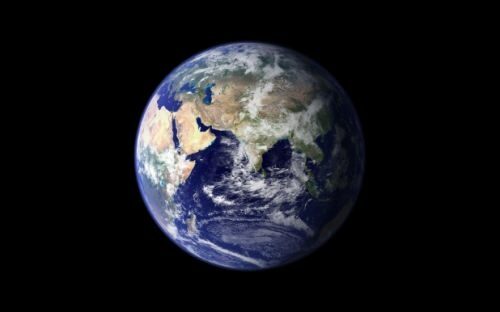 Large liquid-water oceans cover the majority of the planet’s surface, such that the total amount of dry land is about equal to the surface area of Mars. Like Mercury, Venus, and Mars, Earth has no ring system, but it has a large satellite, the Moon. The length of the day is equal to 24 hours or 1440 minutes or 86,400 seconds. Earth’s weather turns out to be the most unpredictable in the solar system.